Bath salts, or synthetic cathinone, are a class of recreational drugs similar to amphetamines. With side-effects including euphoria, reduced inhibition, and increased energy, the drugs are intensely popular in rave and party scenes across the United States and Europe. But, with a chemical makeup including cathinone, methylenedioxypyrovalerone, methylene, mephedrone, and pipradrol, as well as various fillers including salts, bath salts are dangerous, unpredictable, and often addictive. Individuals often begin taking bath salts as an occasional party drug, but quickly find themselves hooked, experience cravings, and may become too dependent on the euphoric-high. With unpredictable side-effects, often-dangerous drugs used to cut bath salts, and no regulation of what goes into bath salts, addicted users often face long-term mental and physical health problems, which only worsen with continued use. If you or a loved one is addicted to bath salts, it’s important to act quickly and get them into treatment. Bath salts are synthetic variations of the stimulant cathinone, found in the khat plant. These drugs are chemically dangerous, because they stimulate the central nervous system, causing a range of side effects including dependence and addiction. Here, bath salts typically cause an increase in dopamine and norepinephrine in the central nervous system, causing euphoria, hypertension, and increased energy. Chronic use of bath salts typically results in attention deficiencies, cardiovascular problems, potential seizures, and respiratory distress. As a result, significant and long-term use of bath salts can result in permanent brain-damage, permanent lung-damage, and in fatalities. While the exact symptoms of bath salt abuse will vary depending on what the individual is taking, the symptoms of addiction are often the same. The user is constantly high or thinking about being high, their personality changes, they show more and more negative side-effects (emotional and physical), and continue to use the drug despite knowing it is detrimental to their health, social life, or career. Like any addictive drugs, bath salts cause withdrawal when regular users quit them. Bath salts affect the central nervous system, meaning that withdrawal can be especially unpleasant. Users experience strong cravings, which can last anywhere from a few days to several weeks depending on the strength of the salts, the synthetic cathinone, and how heavy use is. Similarly, withdrawal symptoms can range from light to severe depending on the specific drug in question, how much the user has combined it with drugs like cocaine or alcohol, and the user’s own constitution. Most will experience cravings, insomnia, anxiety, depression, paranoia, tremors, muscle spasms, delusions, hallucinations, psychosis, and, in some cases, seizures. It’s important to ensure that the individual has proper medical care during this process to prevent further complications. Bath salts are dependence inducing and addictive. If you or a loved one is addicted, there is professional help. 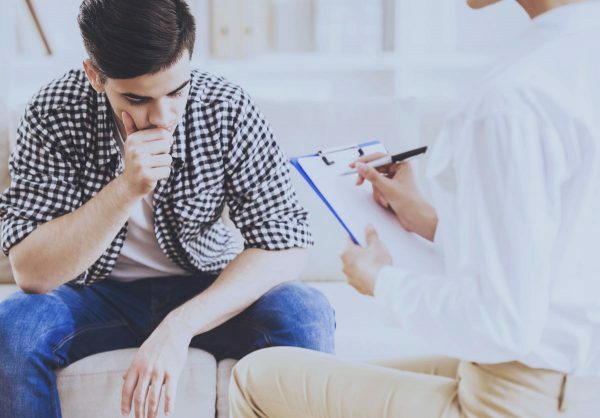 A rehab facility will help your loved one to move past their addiction by tackling the deep-psychological problems underlying addiction, working to build healthy coping mechanisms, and creating stress-management tools. Rehabilitation approaches addiction with the intent of helping individuals to step outside the factors contributing to addiction in the first place, giving them a healthy and stable foundation with which to rebuild a new and better life that doesn’t need drugs. Opium addiction is a widespread problem, affecting millions in the United States alone. If you or a loved one is struggling, there is help and it does work. Beginnings Treatment Centers provide modern and effective programs for the treatment of substance abuse addiction and alcoholism.